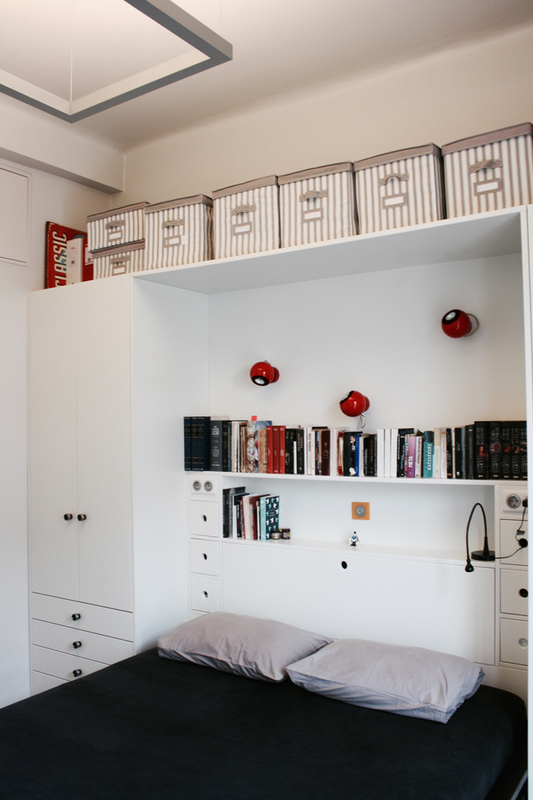 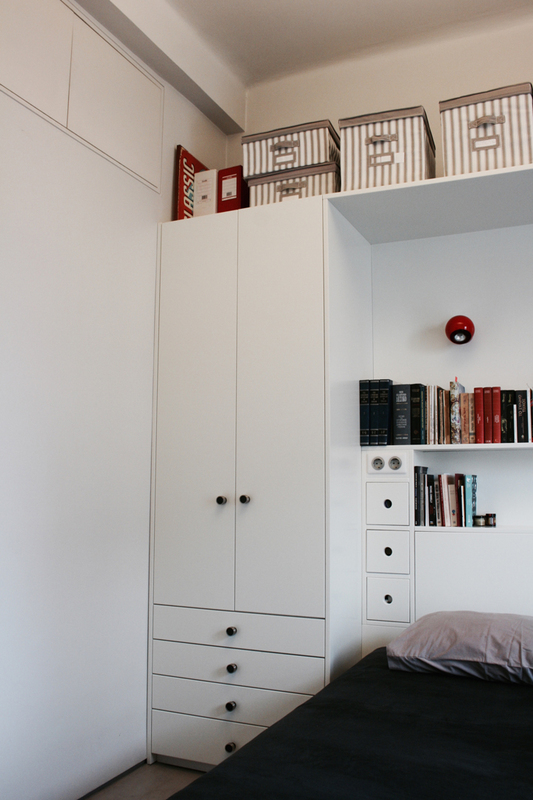 construction: Bedroom storage furniture with bespoke 6-door/ 4-drawers wardrobe and bedside – furniture (Ware Bed) for 25cm heigh mattress with open shelf, 6 small drawers, 1 big reclining cupboard and 4 schuko sockets for the installation of small lamps and more. 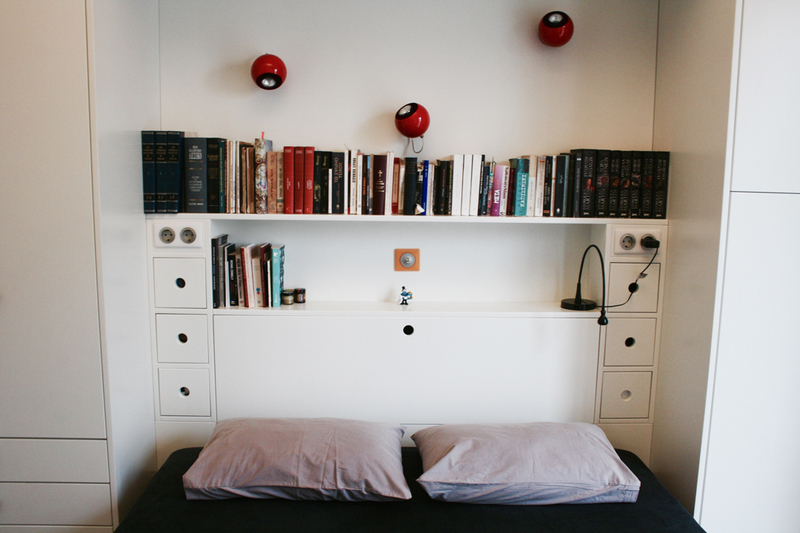 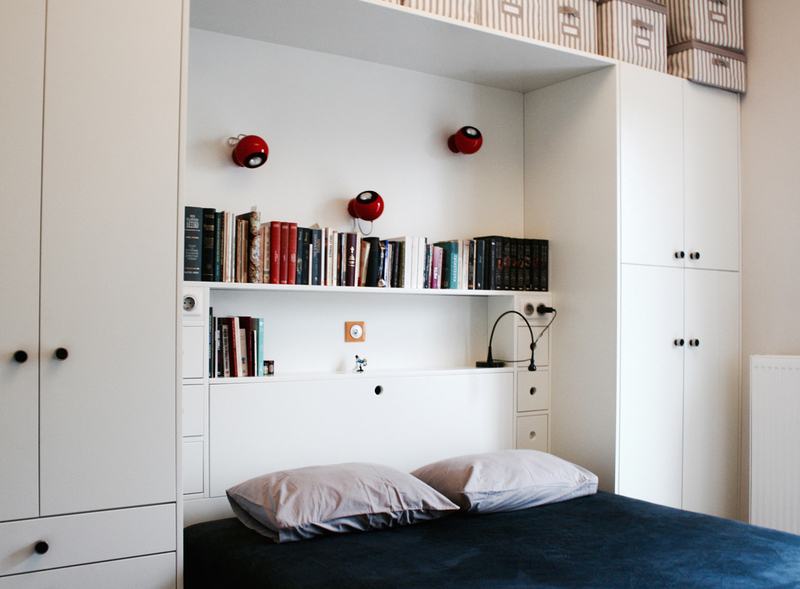 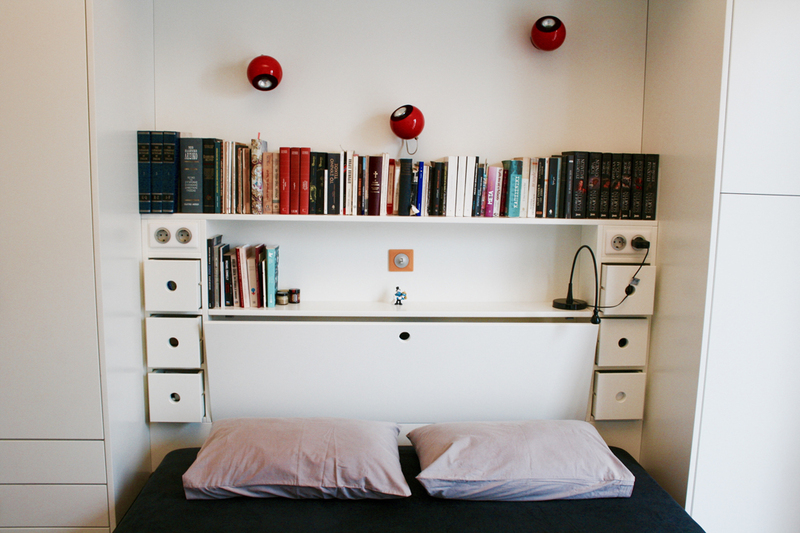 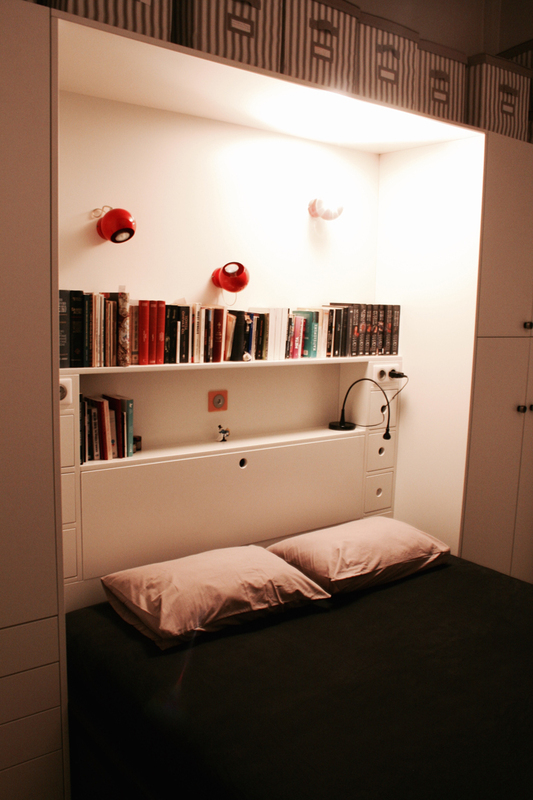 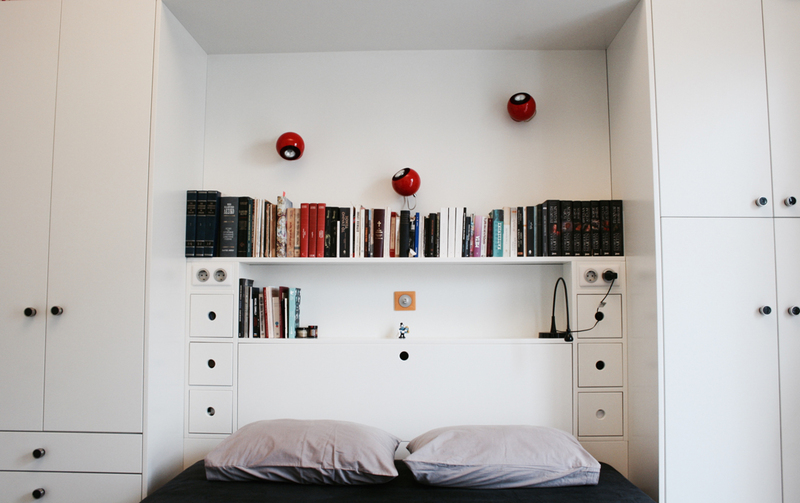 The WareBed furniture is ideal for bedrooms where there is no space for nightstands on either side of the bed. 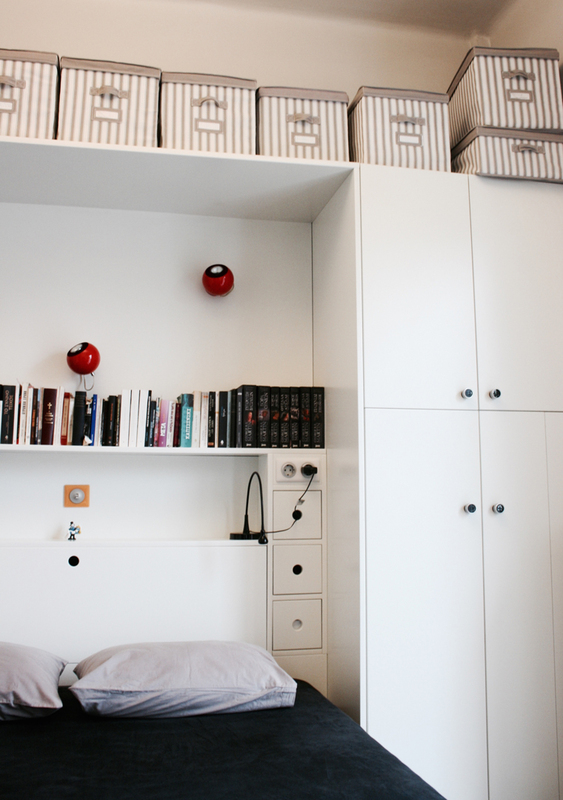 materials: Wooden furniture made of mdf coated with white lacquer, construction of the interior of the drawers and of the cupboards/ closets with white melamine.